Taking antibiotics when they’re unnecessary, or in the wrong dose or timeframe, fuels rising rates of antibiotic-resistant infections. Suggesting a need to step-up efforts to raise awareness about this risk, results of a 2018 survey found parents commonly saved leftover antibiotics and gave them to others within and outside the family. An abstract of the study, “Diversion of Prescription Antibiotics: Should You Take from Peter to Treat Paul?” was be presented at the American Academy of Pediatrics (AAP) National Conference & Exhibition on Monday, November 5th, at the Orange County Convention Center in Orlando, Florida. Senior author Ruth Milanaik, DO, FAAP, said they study results show an “alarming” percentage of parents in a national sample report sharing or borrowing antibiotics, a practice called prescription diversion. “This is dangerous not only for those given antibiotics that weren’t prescribed for them, but for entire populations of people who some antibiotics may no longer help when the bacteria they target become resistant to them,” said Dr. Milaniak, who is Director of the Neonatal Neurodevelopment Follow-Up Program at the Cohen Children’s Medical Center of New York. For the study, an anonymous online questionnaire was distributed to a national sample of 496 parents though Amazon Mechanical Turk. Nearly half (48.2 percent) of the parents reported that they’d kept leftover antibiotics rather than properly disposing them. 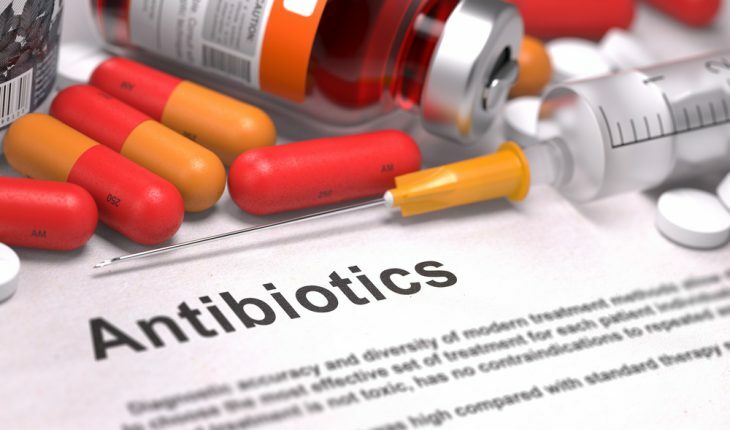 Of those, 73 percent subsequently diverted them to siblings, unrelated children, and unrelated adults–sometimes months after the antibiotic was originally prescribed–all without physician consultation. Parents also used the leftover antibiotics themselves. The most common form of antibiotics diverted was liquids (80.4 percent of parents whose children were prescribed them) and drops (73.8 percent), compared to creams (69.7 percent) and tablets (55.6 percent). Overall, 16 percent of participants stated that they had given their child adult medications. Dr. Milanaik said more effort and resources need to be invested in educating families about how antibiotics work, that they aren’t necessary for all illnesses, and the medical risks of taking antibiotics without consulting a health provider. “Although the discovery of antibiotics has revolutionized medicine, it is imperative that clinicians emphasize the importance of use and dispose of these medications properly to make sure they remain an effective tool against infectious diseases,” Dr. Milanaik said. The goals of future research, the abstract’s presenting author Tamara Kahan said, should include determining the most effective ways to communicate to parents the risks involved in antibiotic diversion, as well as pinpointing the circumstances in which antibiotic diversion is most likely to occur. “For example, we found one of the common reason parents gave for diverting antibiotics was that they wanted to avoid the costs involved with a second trip to the doctor,” Ms. Kahan said. “Follow-up surveys could examine whether there is a correlation between lack of access to health insurance or primary care and antibiotic diversion,” she said.